Refill your spray directly from almost any fragrance bottle. Its 5ml bottle contains up to 65 sprays of your favorite fragrance. Thanks to the level indicator window, you can always see what is left inside. 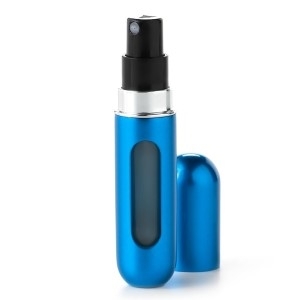 This perfume atomizer is leak proof and aircraft approved for carry-on baggage.